When you need sheds or other types of portable buildings, C & J Enterprises in St. Augustine has the perfect solution. We offer a wide range of sheds, and you'll even get a 5 to 50 year warranty to help ensure that your shed is protected. Our sheds are some of the very best on the market, and are made with pressure treated lumber and a Gelcoat coating on the floor to help resist termites, rot and mildew. Acquiring the necessary permits for your new sheds will definitely be easy. Whether you own a home or business in the St. Augustine area, let us show you why we are a leader when it comes to sheds and portable buildings. 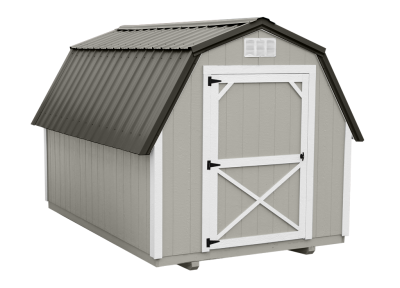 Not only can you design custom sheds to meet your specific needs, but we'll even deliver your sheds and provide free setup on block, including the tie down. Sheds can be a great way to store items you don't use on a daily basis, but sheds can also provide a functional space for gardening supplies or working on hobbies. When you're shopping for sheds, take a look at the competition, but be sure to come and see us when you want the best sheds available. From business storage to household goods, finding quality sheds for all of your storage needs is easy, especially when you're able to customize your shed in order to provide the perfect solution. Let us show you why we are the leading provider of sheds in the St. Augustine area.